I learned a good lesson after reading two very different books back-to-back. I'd like to tell you about the books but, more importantly, I'd like to tell you the lesson they taught me. 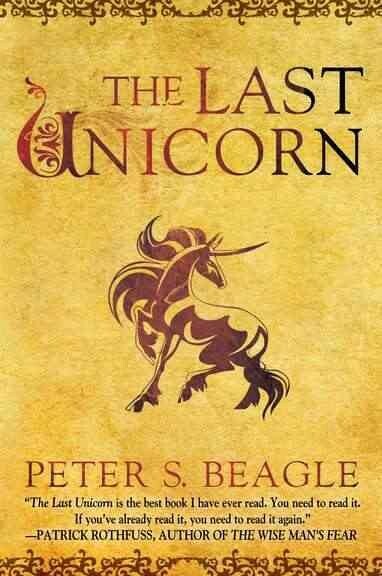 A couple of weeks ago I decided to read The Last Unicorn by Peter S. Beagle because an author I really like, Patrick Rothfuss, was quoted as saying it's the best book he's ever read. In fact, his actual quote is now on the front of the reprint edition of the book. The original book was published in 1968. I had high expectations for this book because, even with as many books as I've read and love, I could never imagine naming just one book as the best book I've ever read. I thought there must be something quite amazing about this book! When I first began reading it, I couldn't figure out what was so great about it. I mean, I liked it enough to continue reading it, but I really wasn't all that impressed. It was slow in a few places in the beginning and had me wondering where the story was leading. I found that I enjoyed it more half way through and towards the end of the book. I can honestly say the ending stuck with me, and I've mulled it over quite a bit. I even shed a tear or two, at one point, and felt my heart ache for the characters. However, I still wouldn't classify it anywhere close to 'the best book I've ever read'. 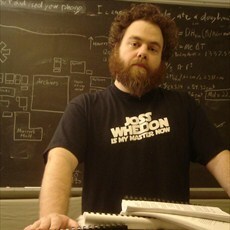 I thought about what a wonderful fantasy writer Rothfuss is and scratched my head over what he finds "best" about it. If you read my previous post,...you know why I chose to read the book. I had no idea Hawke was a writer! Come to find out, he actually wanted to be a writer before he was discovered and went into acting. The minute I saw the book in the bookstore, I previewed it and decided I wanted to read it. I really liked the first person narrative style of the book, and you get the feeling Hawke is working out a lot of his own past in the story even though it is a fiction story. The main character, William, is an up and coming actor who has recently moved to New York. While living there, he meets a girl. The novel follows him through the relationship with the girl, while he also works out issues in his head about his parents divorcing when he was five and how his mother moved him out of Texas and away from his father when he was young. I absolutely loved the book. I felt like I bathed in it. My heart went out to William and everything he was going through in the novel. I related it to times in my life when I had felt that way. His emotions are strong and his reactions to what is going on around him are strong, as well. I also related to it because I know, from my own experience, that no matter how long your parents are divorced, that mess stays in your head. It really loves to kick up dust when you're starting out in a relationship with someone...and even when you've been in a relationship for a long time. To tell you the truth, I had already decided halfway through the novel I wasn't even going to mention the book in a blog because, well, it was just one of those books that felt too personal. It conjures up all those feelings of first love and things you can't change and broken relationships in families. For someone like me, though (who stays in her head a lot), it's like getting a look inside someone else's brain and being relieved to say, "Oh, hey, I'm not the only one!" Then, I began thinking about Rothfuss and his love for The Last Unicorn. He has this love, this connection with a book that I just didn't share. I wondered what experiences or feelings or memories he had attached to that book. Was it the first fantasy book he ever read? Did it inspire him to write fantasy? Is it that he loves it because it is almost like a "how to write a perfect fairy tale" outline (it even jests about 'the formula' of the princess/hero stories towards the end). There is a reason he is moved enough by that book to give it the recommendation he does. I trust his judgment as a good author, so maybe I missed something? Then, I thought about Hawke's book again. I assure you that I didn't love it just because Ethan Hawke wrote it, although it was fun hearing his voice in my head. I loved it because he did what he set out to do - "take very real feelings and turn them into art." It is what he says he loves reading in novels, and I find it is what I love most about his novel. There are many passages I love in the book, most of which I will never quote on here because, taken out of context, some people might get the wrong idea. For me, some books are made to be more of a personal journey than a book club discussion. 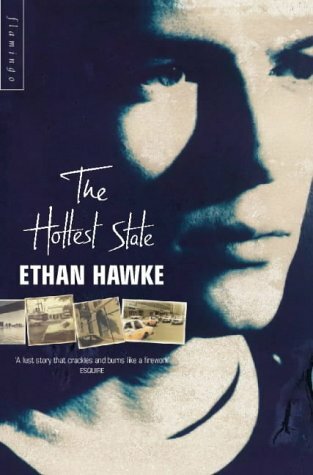 For me, The Hottest State is one of those books. So, to sum up the lesson (just in case I lost you): Beauty is in the Eye of the Beholder. Yes, yes, I know this is an old saying and an old lesson, but it is also what makes reviewing a book so challenging: "Best Book" is in the Mind of the Reader. We tend to enjoy reading what we relate to the most. We should keep that in mind when we praise a book...or criticize one. Keep the reader in mind when you suggest a book. For my close friends, I tend to know which books I read that they will and won't like. I know their preferred tastes and authors, just as they know mine. It is one of the joys of having close friends who love to read and having book club discussions. When I mention a book in a blog, I try to keep in mind why I liked it or disliked it and share that with you so you can decide for yourself if it's something that would interest you or not. Just because I loved it doesn't mean you will.